Do you ever end up with a collection of gifted items that don’t match up or belong as one set? 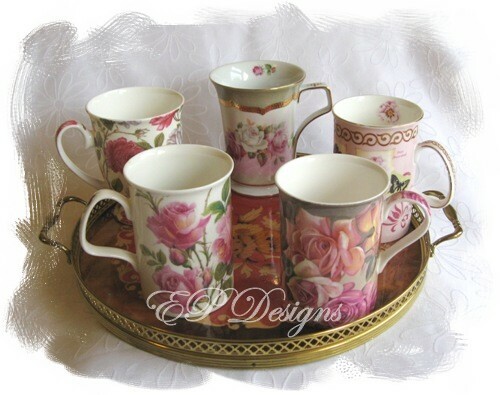 Cups and mugs seem to be a popular gift idea but single or double they usually end up a mismatched set – different size, shape & colours ….. but is that a bad thing? 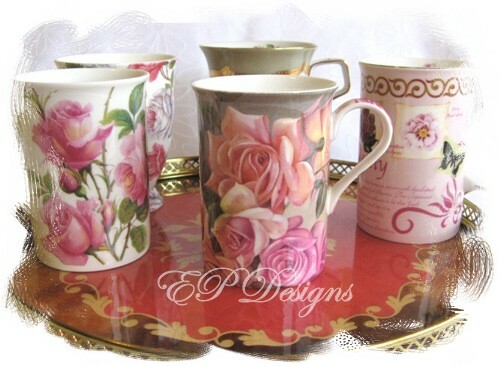 The theme here is cups & roses …. and I think this little batch looks rather fabulous. 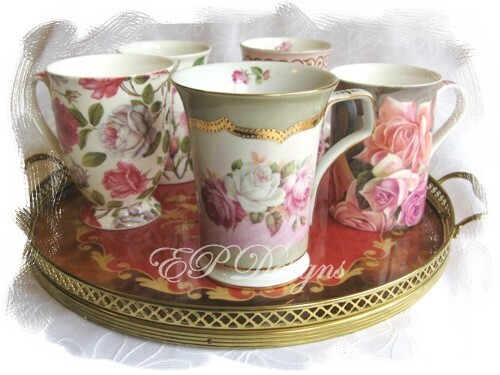 Roses are always liked around here – these mugs have been gifted in the past as birthday or Mother’s Day gifts. 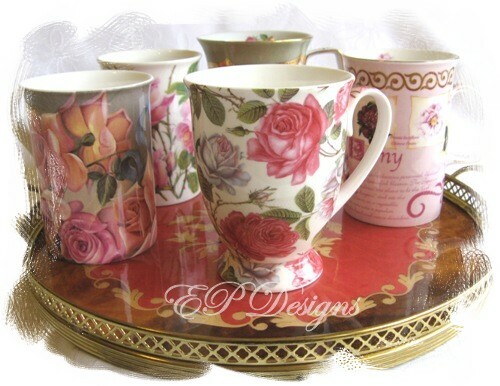 Drinking coffee, tea or hot chocolate from a gorgeous china cup or mug makes it taste so much better & it’s more enjoyable – don’t you think? 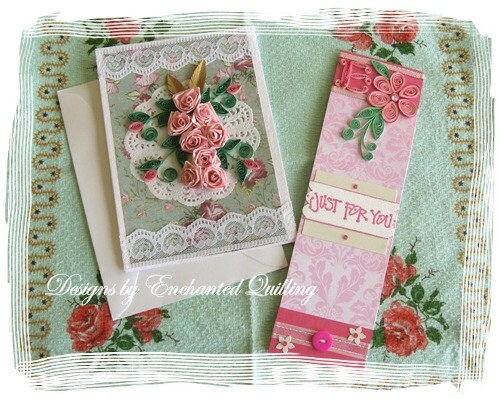 PS: My apologies to those who may have visited my blog last saturday looking for the current Pink Saturday post as I wasn’t able to publish it. Wishing all mums everywhere a very Happy & Pink Mother’s Day!